Virginia Woolf is one of those novelists that, as an avid reader, I have felt kind of compelled to try for several years now. This was only made worse by studying the film adaptation of her novel Orlando. I loved that film, and I felt kind of intrigued then about what kind of writer she would actually be. Because while I had obviously heard of her, I didn't really have much of an idea what sort of books she actually penned. 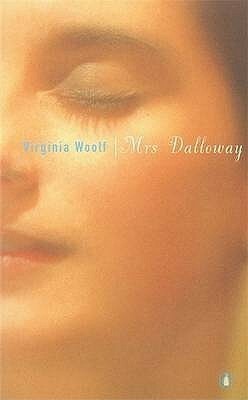 Being somewhat stumped there, I decided that it might be better to start with one of her more famous novels, Mrs Dalloway, and see how I got on from there. Mrs Dalloway focuses on a single day in June in 1923, a day that Clarissa Dalloway spends preparing for a party that she and her politician husband will be hosting that evening. While the reader follows probably around 20 different characters during the course of the narrative, the main two characters are probably Clarissa and Septimus Warren Smith. The former spends her day preparing for her party whilst thinking back on her youth when she is reacquainted with the man that she almost married. Meanwhile, Septimus is accompanying his wife to the doctors, who she believes will help him recover from the shellshock that he has developed following the Great War. Having now read Mrs Dalloway, I find myself in a rather unusual position. I seem to have found a book that I would much rather study than read for pleasure. It is a position that I actually found myself in with Don Quixote back in university: while I hated that novel with an unrelenting passion, as my reviews on this blog will attest to, I found it incredibly easy to write about, and I don't think I would be far wrong in considering the essays created in analysis of it to be some of my finest critical work. I imagine that, had I been given Mrs Dalloway as a set text by one of my lecturers, I would have had a similar reaction. And I find that that bothers me. So, why would I want to re-read it for study? Well, first of all the writing is absolutely stunning, a stream-of-consciousness style that is both extremely fluid and yet also dense with description and observation. It is quite difficult to interpret at points, and I would imagine that it would benefit from reading it in long uninterrupted stretches. There's also a kind of equivalent density of ideas and connections by theme, that I could well see being fascinating to pull apart and compare in an academic setting. So definite plus points there. Emotionally though? For me it falls flat. A whole host of characters are followed and examined in great detail, but the fact that everything happens in one day means that for the majority of them, nothing really sticks. There are a couple of characters that end the day in monumentally different circumstances than those they started in, but even then that huge change feels very much like the logical chain of progression with regards to their personalities as they are presently. And it annoys me that this is the case, because the academic part of me wants to love Mrs Dalloway, while the reader in me is annoyed because in some ways it feels like a huge waste of time.